I just wanted to thank the staff and Shavonn personally for helping me y’all did a wonderful job thank you so muchsubmitted by Marion S. - Mar 22, 2019 |Recommended: YesShavonn Who did a wonderful job while visiting Londonbury apartments . 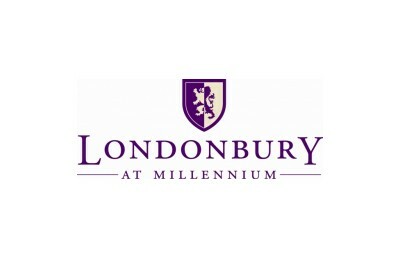 Great apartment complex and communitysubmitted by Andrew F. - Feb 22, 2019 |Recommended: YesIt's a great pleasure to live at Londonbury The staff, amenities, communities, etc. are fantastic and make for a wonderful experience. Maintenance staff is prompt to address any requests, grounds are very well kept, units are up-to-date package room and service is great given the stress put on by residents ordering items. Only complaints, for a lack of better term are the hallways e.g. carpeting are slightly out of date and parking is sometimes limited if return to the complex too late. However, the parking situation is addressed by management finding alternative public parking in nearby lots. Additionally, having the option to pay for reserved parking is great for those always wanting a spot while those who are willing to chance it or don't mind parking in different spots each day can enjoy the luxury of avoiding a required parking fee. Meets my needs, has been enjoyable so farsubmitted by Kelly O. - Nov 30, 2018 |Recommended: YesSo far so good. No major issues. Clean, friendly, quiet, and welcomingsubmitted by Anna W. - Sep 30, 2018 |Recommended: YesI really enjoy living here. The amenities are great and the staff are extremely accommodating. Parking can be difficult from around six o'clock and after. Excellent Place to Livesubmitted by Jeffrey W. - Sep 27, 2018 |Recommended: YesExcellent Place to Live. Very clean, staff is very professional and pleasant. Maintenance is always completed quickly and done right the first time. Wouldn't want to live elsewheresubmitted by Kaitlyn W. - Sep 26, 2018 |Recommended: YesIts a place where you feel safe, a lot of friendly dogs everywhere, nice employees and other residents. Very nice paths along the river. Parking at night can get frustrating but thats the only issue. Beautiful Quiet Community on the Banks of the Schuylkillsubmitted by Alexander M. - Jun 07, 2018 |Recommended: YesIt's always quiet. Staff are courteous and address any issues promptly when needed. Dog friendly. Parking can be a challenge. Overall it is a great location, atmosphere, and community. Locationsubmitted by Daniel K. - Apr 27, 2018 |Recommended: YesGreat location and safe. Residence very pleasant. Awesome place to livesubmitted by Mario F. - Nov 30, 2017 |Recommended: YesGreat community, love the amenities, feels very modern living here. Been here four years now and it's still great. response from property - Dec 15, 2017 Thank you so much for your feedback Mario! We are pleased to hear you enjoy all the amenities at Londonbury. Quiet, Well Maintained, Easy Going,submitted by Taylor G. - Nov 30, 2017 |Recommended: YesIf you are looking for a quiet, easy going place to live, this is your new home. response from property - Dec 15, 2017 Hi Taylor, Thank you for your review! We completely agree with your thoughts!